When it comes to DWI’s, most people think it’s pretty straight forward. Odds are, you faced some form of DWI testing that resulted in a BAC which was over the legal limit. So now you should go to court, pay the fines and fees, take the necessary classes and it’s over, right? Well, not necessarily. DWI cases can actually be rather complex. In fact, there are different DWI types which can result in different protocol and punishments. So here’s a list of DWI types your case may fall under. That way, you’re prepared for what might occur. One form of DWI cases, is an aggravated DWI. With an aggravated DWI, you’re violating the law in more than one way. Whichever other ways you were breaking the law, those factors become ‘aggravating factors’ in your case. For example, an aggravating factor may be excessive speed in your DWI case. In the event that you were traveling well over the speed limit, an officer may charge you with excessive speed in addition to your DWI. Furthermore, an aggravated DWI may increase your penalties to a felony. In the case of standard DWI’s, you receive a misdemeanor charge. 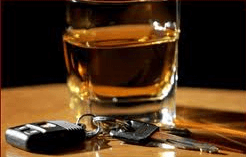 But in some cases, certain factors can raise your DWI to a felony charge. For instance, if someone died as a result of your DWI or if you have prior DWI offenses. As you might assume, a felony charge comes with much harsher penalties. 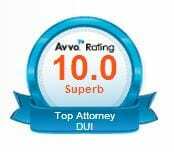 In the event that you are driving for your job, you may face a commercial DWI. For employees who drive buses, trucks, or large vans, most require a commercial driver’s license (CDL). CDL drivers hold to different standard for drinking and driving. Since they are driving a large commercial vehicle, the state made legal BAC limit .04% for commercial drivers. 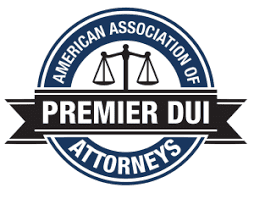 For a commercial DWI, you may face a longer license suspension and harsher penalties than a standard DWI. In general, these DWI types require harsher penalties than standard DWI’s. Since there are normally a number of factors surrounding these cases, there can also be additional fines. For these reasons, you may want to speak with an attorney to discuss the facts and see what they can do to help your case. North Carolina is one of only a few jurisdictions which still adheres to the strict doctrine of “contributory negligence.” Pursuant to this doctrine, if a plaintiff sues a person under a theory of negligence, the plaintiff will not be entitled to recover if his injuries were caused by his own negligence, even in the slightest. Moreover, a plaintiff’s contributory negligent behavior will serve as a complete bar to recovery from any defendant who committed the act of ordinary negligence. There are other jurisdictions that will allow for apportioning of fault and allow the plaintiff to recover perhaps only the percentage that they were not at fault (such as in a comparative negligence jurisdiction), however the doctrine of contributory negligence allows no apportioning of fault and thus, North Carolina allows no share of liability. As seen in Newton v. New Hanover County Bd. of Education, “A plaintiff is contributory negligent when he fails to exercise such care as an ordinarily prudent person would exercise under the circumstances in order to avoid injury.” Newton v. New Hanover County Bd. of Educ., 342 N.C. 554, 564 (1996). The rule of thumb is simple: if the plaintiff is even 1% at fault in the state of North Carolina, then they are subject to the doctrine of contributory negligence. However, the doctrine will only apply where the plaintiff’s contributory negligence was the cause of the accident. So, for example, if the plaintiff was speeding and got into a motor vehicle accident; but it was not the speeding that caused the accident, then there is no bar on her claim for recovery because it was not her negligence that was the cause of the accident. Ellis v. Whitaker, 156 N.C. App. 192;, 576 S.E.2d 138 (2003). There is a defense to contributory negligence commonly referred to as the “last clear chance doctrine.” Pursuant to this doctrine, if the plaintiff was in a position of peril (or danger) and could not avoid the accident following his initial act of negligence, and if the defendant had an opportunity to avoid the accident, then the plaintiff may nevertheless make a full recovery from the defendant, simply because the Defendant had a chance to avoid the accident, yet neglected to do so. However, do not fear if you have been involved in a personal injury suit in North Carolina, and feel as though you may fall into this category. The rule has many applications but specifically, where there is evidence of contributory negligence, the issue will be submitted to the jury, who then will serve as the final fact-finder in making the winning decision. 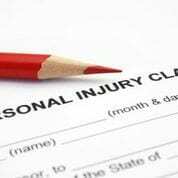 If you or someone you know have been injured or killed in any type of accident, call the North Carolina personal injury attorneys of Robert J. Reeves, P.C, toll-free at 877-374-5999, or use this form, for a free consultation with an attorney to help you evaluate your claim and to get the recovery you deserve. A North Carolina man, who collided with a pickup truck on Carolina Beach Road, was pronounced dead at the scene. A Lieutenant for the Wilmington, North Carolina Police Department said a white Harley Davidson was heading southbound on Carolina Beach Road when the driver of the pickup truck was pulling out of a parking lot. If you or a loved one has been injured in a car accident, there is a chance that you may be able to recover for your injuries. For a free consultation, call the law offices of Robert J. Reeves, P.C. at our Charlotte, North Carolina office at 704-499-9000. We will be pleased to consult with you. A devastating car accident on South Tryon Street, on the southwest side of Charlotte, left four men dead when the car in which they were driving smashed through a pole and a sign. The police investigators have reported that the victims were all in a 1995 Lexus that was allegedly speeding at around 12:40 a.m. as the driver lost control of the vehicle just in front of the Steele Creek Crossing Shopping Center. Further, it is reported that this is the highest death toll in a single car crash in recent Charlotte, NC history. Two 32-year-old men, a 57-year-old, and a 50-year-old were all killed in the collision as the car went up a small embankment, hit a utility pole, before going airborne, and ultimately smashed into a brick sign at the shopping center entrance. The car landed on the roof. Firefighters were able to reach the scene quickly, and discovered two men in the vehicle. It was also determined moments later that two other men had been ejected from the vehicle. One of these men was pronounced dead on the scene, and the other died shortly after. The road was closed for most of the evening. 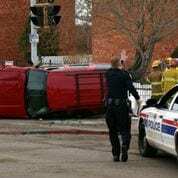 It has not been reported that the driver was under the influence of alcohol; however, a wrongful death claim may result due to the man’s speeding. (a) When the death of a person is caused by a wrongful act, neglect or default of another, such as would, if the injured person had lived, have entitled him to an action for damages therefore, the person or corporation that would have been so liable, and his or their personal representatives or collectors, shall be liable to an action for damages, to be brought by the personal representative or collector of the decedent; and this notwithstanding the death, and although the wrongful act, neglect or default, causing the death, amounts in law to a felony. The personal representative or collector of the decedent who pursues an action under this section may pay from the assets of the estate the reasonable and necessary expenses, not including attorneys’ fees, incurred in pursuing the action. At the termination of the action, any amount recovered shall be applied first to the reimbursement of the estate for the expenses incurred in pursuing the action, then to the payment of attorneys’ fees, and shall then be distributed as provided in this section. The amount recovered in such action is not liable to be applied as assets, in the payment of debts or legacies, except as to burial expenses of the deceased, and reasonable hospital and medical expenses not exceeding four thousand five hundred dollars ($4,500) incident to the injury resulting in death, except that the amount applied for hospital and medical expenses shall not exceed fifty percent (50%) of the amount of damages recovered after deducting attorneys’ fees, but shall be disposed of as provided in the Interstate Succession Act. All claims filed for such services shall be approved by the clerk of the superior court and any party adversely affected by any decision of said clerk as to said claim may appeal to the superior court in term time. (d) In all actions brought under this section the dying declarations of the deceased shall be admissible as provided for in G.S. 8-51.1. If you are the decedent of a loved one who has been killed in an accident, grief is not the only devastation you may be facing; there is also financial responsibilities and funeral costs. Contact the law office of Robert Reeves, PC if you have any questions as to how to pursue a claim against a person or entity responsible for the death of another in a car accident, or any other accident. Two Charlotte men were involved in a two-car accident on Woodlawn Road last Friday in Charlotte, and the defendant has just been identified and since apprehended. The taxi was waiting outside the “Montford Drive” street that is known for having multiple bars within walking distance, that college kids frequent often. It was around 2:00 a.m. Saturday night and the taxi cab driver was driving for “Speedy Cab,” of Charlotte, and was attempting to make a left hand turn on Woodlawn Road after picking up his fare. It was at that moment that the cab was slammed into by a BMW being driven by a 23-year-old, presumptively leaving “Montford” himself. The taxi cab driver was immediately thrown from his vehicle, and died while being transported via ambulance to the nearest hospital. The 23-year-old defendant bolted out of his BMW and fled on foot from the scene of the accident. He too was taken to the hospital and later released with minor injuries. He is being charged with a slew of charges including: ” felony death by vehicle, felony hit and run, driving while impaired and driving while license revoked,” according to the Charlotte Mecklenburg Police Department. Officials state that the reason for the prior license suspension was for a previous DUI. A portion of Woodlawn Road was shut down due to the accident, but later re-opened about four and a half hours later. If you have been charged with a DWI in North Carolina, or been injured as a result of a drunk driver, contact the law offices of Robert J. Reeves, P.C. toll-free at 877-374-5999 or visit our home site here.